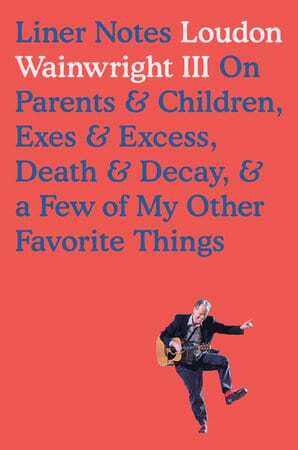 In this memoir, musician and actor Wainwright details the family history his lyrics have referenced and the fractured relationships among generations: the alcoholism, the infidelities, the competitiveness—as well as the closeness, the successes, and the joy. Instead of inventing a mythos, Wainwright simply wrote some excellent songs — rich, complicated, sometimes dorky, marked by unexpected wordplay and often surprisingly dark. His new memoir is all of these things, too. It’s a funny, rueful thing to consume. Wainwright has hurt most of the people he’s loved, and he’s loved some remarkable people. He’s written fond and sometimes acid songs about them; they’ve returned serve ... Wainwright does not go easy on himself in this book. In typically memorable prose, he describes how he got into 'the nasty and destructive habit of picking up women after shows, bringing a sort of love hostage back to the hotel room, a raunchy token of esteem.' He’s jealous of the success of others in his family. He likes reading his own good reviews and other people’s bad ones. He describes ogling women while doing laps at his local pool. He’s a stinking, traitorous cretin. And yet, as he woos his memories back, there’s a great deal of fondness in this book, too. Like the best songs of the Wainwright-McGarrigle-Roche clan (Rufus has a child with Leonard Cohen’s daughter, Lorca, so this dynasty may still be in its infancy), this straightforward book makes your heart wobble on its axis. And it sends you back to the songs. Liner Notes is thin on original material, peppered with his father’s old columns for Life magazine, a couple of older essays and a liberal dose of lyrics ... Mr. Wainwright is an engaging and witty memoirist ... He appears loath to seek concrete explanations for his adultery and parental absenteeism, and this would be a serious omission if not for the ameliorating effect of related lyrics ... Those who can laugh at life while making a messy success of it—or is that a successful mess?—have something to impart. And Mr. Wainwright may be relieved to know that, whether or not he found the process torturous, his writing is no stone drag. Fans of the self-lacerating, painfully funny Wainwright III will find the memoir they want here ... With a wit that can draw blood and a confessional openness that knows few limits, the author guides readers through his parents’ loveless marriage, his sibling rivalries, his tempestuous marriages and relationships, the tensions of an absentee father, his deeply ambivalent attitude toward success and stardom, and his depressive insecurities ... A very funny and candid memoir, in an occasionally cringeworthy sort of way. What did you think of Liner Notes?